Track my meals and workouts – I’ll count this as half a point because I did track my workouts – and averaged 5/week, yay! – but I wasn’t so great at tracking my meals/calorie intake. Finish an indie novella for a project that is releasing in March – This is not even half a point, because I didn’t finish by October 31, it took until November 2. But, the project is now with my proofer and editing will commence in a couple of weeks. Themed planning days – this is a full checkmark! I started block-scheduling my days in October and I really like how that is working for me, although it also caused a planner hiccup which I’ll explain in another blog. What I like about block scheduling is that every task (errands, appoints, emails/social media, writing, etc) has it’s own box (or “theme”, which actually allows for more freedom with writing time. Block scheduling will continue! Finish revisions: also a full checkmark. I sent revisions for a brand new project to my agent mid-October and am waiting for her feedback and a final polish before sending that project out into the world. Edit and format the novella to prep for publication; start an initial publicity plan. Do any last minute touches to the with-the-agent project before it goes out into the world. Prep and send 2 proposals to the agent for new projects that I’m super excited about <– this is my NANO project. I know, NANO is for writing a book in a month, but that doesn’t work for me so I use it in a different way. Continue with block/theme scheduling my days because that is really helping me to be more productive – and happier, too! Track meals Monday – Friday and track workouts Monday – Friday, too. What about you? 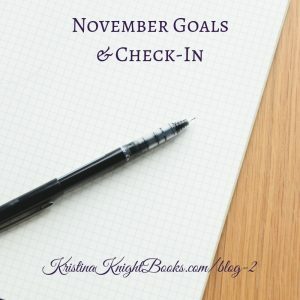 Do you have a goal or two for November? Share in the comments and we’ll keep one another accountable! 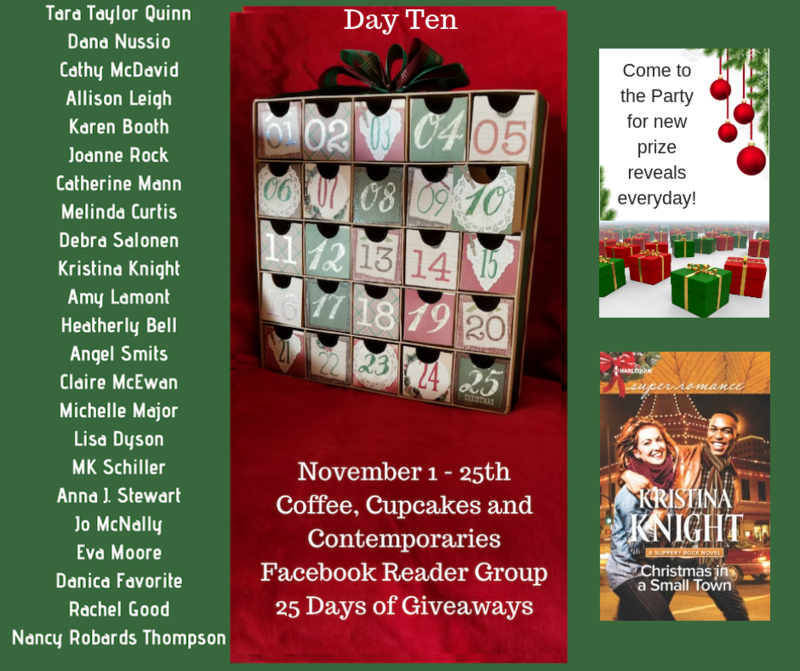 Several authors & I are hosting a fab holiday event – join the fun! Oh, and Through Thanksgiving, some author friends and I are hosting a really fun event – filled with books and games and maybe even a holiday recipe or two. 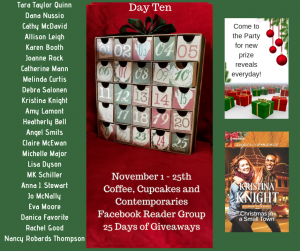 It’s happening over at our Facebook Group: Coffee, Cupcakes & Contemporaries. 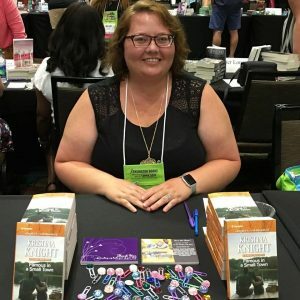 Stop in, join the group and see what we’re up to – I’m hosting on November 10 – that’s this Saturday! – and I have some fun stuff in the works.